"I went to my doctor because of sharp right shoulder pain. He recommended Campus Commons Physical Therapy. He thought that it might be a tear in my right shoulder cuff. The therapist did an extensive and thorough evaluation. I performed a series of supervised exercises to help my shoulder and was shown some to do at home as well. At first I had pain that brought me to CCPT, but gradually the pain became less and less. After 4 weeks there was no pain and I had full motion in my right arm. GREAT TEAM!" I injured my left shoulder water skiing in the Sacramento River when I hit a log. I started treatment with Campus Commons Physical Therapy a few weeks later. After a few months my shoulder got better as the exercises and overall treatment worked great. Everyone on the staff at CCPT was friendly, knowledgeable and helpful. I had a great recovery. I was able to snow ski all winter and had a great season of water skiing last summer. Now I'm fully recovered and will miss my friends at CCPT. I injured my right rotator cuff and did my physical therapy at Campus Commons Physical Therapy. My shoulder has improved so significantly with my treatment that I will do my shoulder exercises forever! 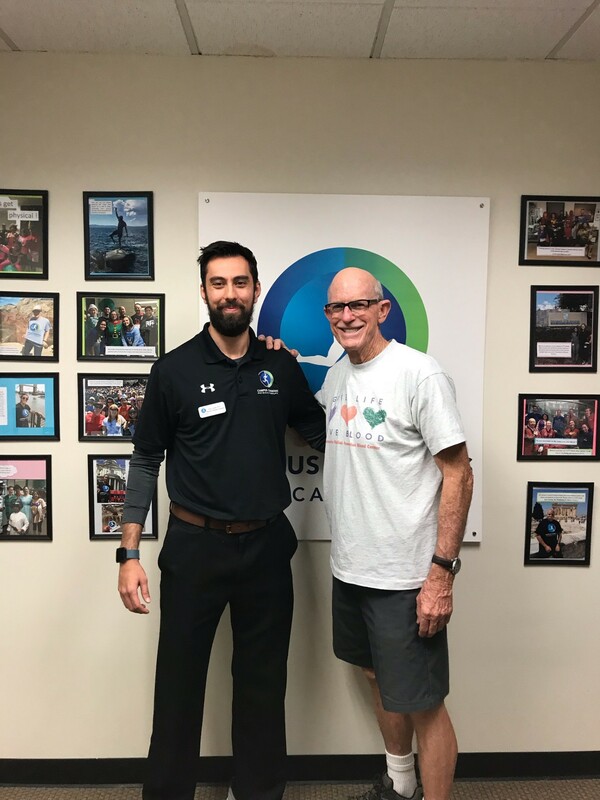 I have been so impressed by the care, guidance, and direction that I will recommend anyone with a shoulder injury to seek care at Campus Commons PT.